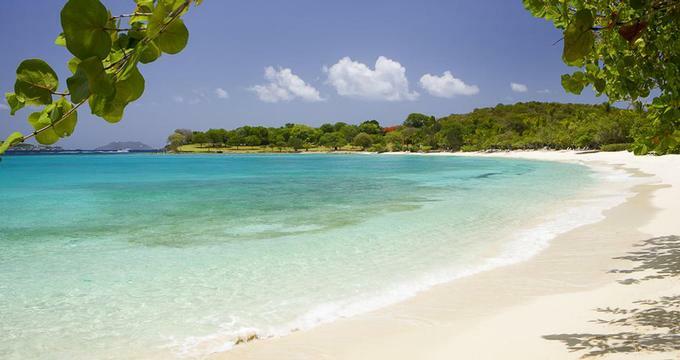 Caneel Bay in St John is a perfect getaway for those who want to unplug and rejuvenate next to the Caribbean Sea. Elegant resort accommodations do not have phones or TVs, inviting you to slow down and embrace a slower pace of life while trying a variety of activities. Paddle a kayak next to the shore for a unique perspective of the island, go sailing, take a tennis lesson or learn how to paint. Pilates and Yoga classes offer a great way to relax and tone the body in a beautiful setting. The resort concierge can help you book tours of St. John, sunset cruises and fishing excursions. For younger guests, Turtle Town offers a variety of exciting activities for kids ages 3 to 11. Programs range from half-day, full-day and evening activities which include a dinner and a movie for children while mom and dad have a romantic dinner at one of the resort's restaurants. Nearly all restaurants at the resort welcome kids, except ZoZo's at the Sugar Mill which is offers a more refined dining experience for couples. As soon as you unpack, you will probably head to the beach. The resort is surrounded by beautiful sandy beaches where you can sunbathe, sip cocktails, go stand-up paddle boarding and snorkeling. The resort staff is available to show you how to use the water equipment, so don't be shy, just ask. If you want to learn how to dove, PADI courses are available at the resort. Explore the scenic spots around the British Virgin Islands aboard a charter boat which will take you to the famous Baths at Virgin Gorda and beautiful underwater reefs where you can snorkel and swim. Set aside some time to visit the spa which offers a variety of massages, wraps and facials. Request a massage in a cabana or in the privacy of your own room. The resort offers 166 guest rooms and suites. The Beach Front Suite is great for couples and honeymooners who want to step out onto the beach from their terrace. Premium Beach Front rooms are a great choice as well. Cottage 7 is set on former Laurance Rockefeller's house, offering spectacular sea views. There are several great dining options, ranging from casual to elegant. ZoZo's at the Sugar Mill serves Italian cuisine in an open-air setting with views of the water. Candles create a romantic atmosphere in the evening. Dine right on the beach at Caneel Beach Terrace which serves incredible buffets. If you miss watching TV since there are none in the rooms, head to the Caneel Beach Bar & Grill which has large TV screens where you can watch a game and order a burger, sashimi rolls and sandwiches. If you have a craving for a home-made ice cream, head to Cannella which also offers great coffee and panini's. If you are planning to pop the question, ask the hotel staff to set up a table for just the two of you near the ocean's edge. The hotel frequently offers packages and seasonal specials. Rates start from USD $401. Direct flights are available to St. Thomas from the East Coast.